This comprehensive product collection contains a combination of brightening, exfoliating and calming ingredients, including the over-the-counter ingredient hydroquinone, to lighten and inhibit age spots and all types of discolorations. 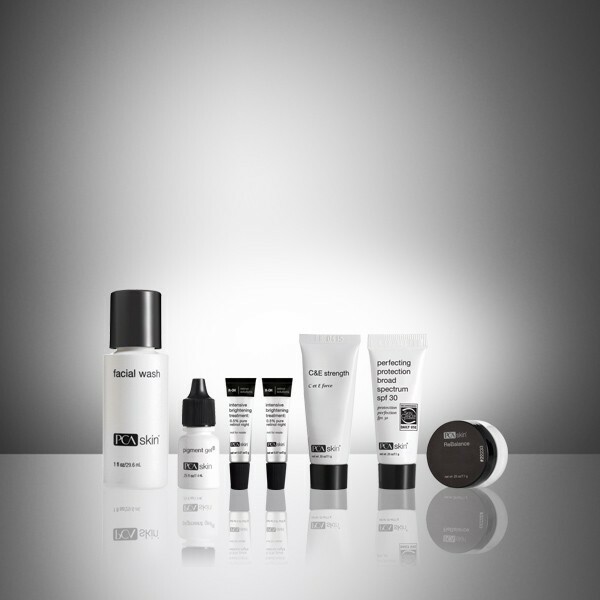 This regimen provides even complexions for those without sensitivity to hydroquinone. This comprehensive product collection contains a combination of brightening, exfoliating and calming ingredients, including the over-the-counter ingredient hydroquinone, to lighten and inhibit age spots and discolorations. A complete regimen to lighten and inhibit all types of discolorations.